Raccoon 16″ is one handsome rascal and cutest bandit ever. 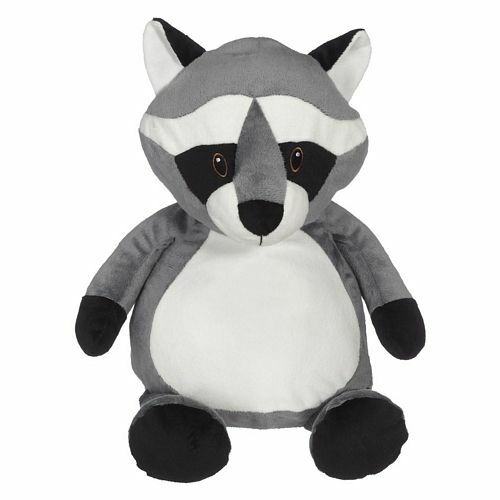 This popular “TRASH PANDA” with his black markings and bushy striped tail makes him a fan favourite. His grey fur and long tail makes him adorable! 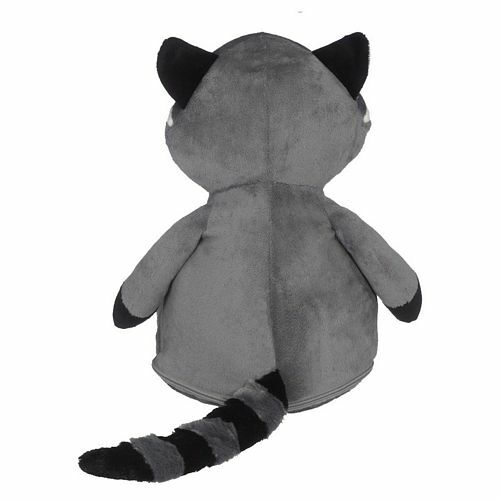 Self-contained stuffing pods for the head and belly are removable through a hidden zipper on the bottom of the raccoon making hooping and embroidery easy on any embroidery machine. Embroidery-friendly, low-pile plush fabric. Exceeds all applicable U.S., Canadian, and European safety standards.